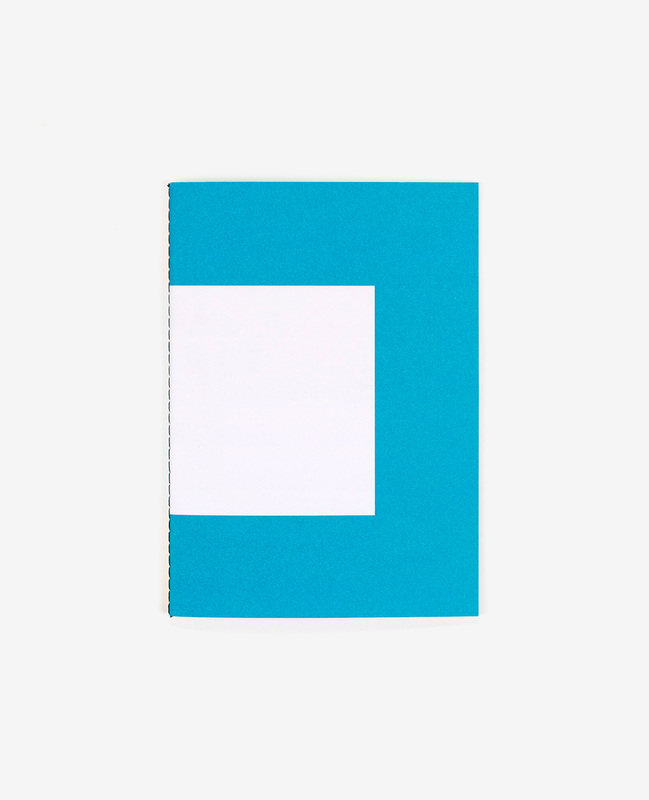 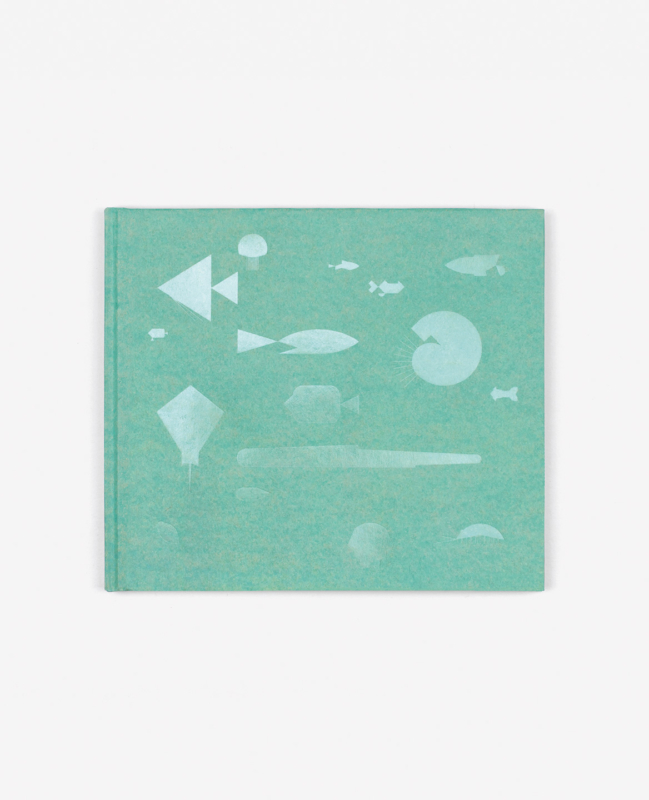 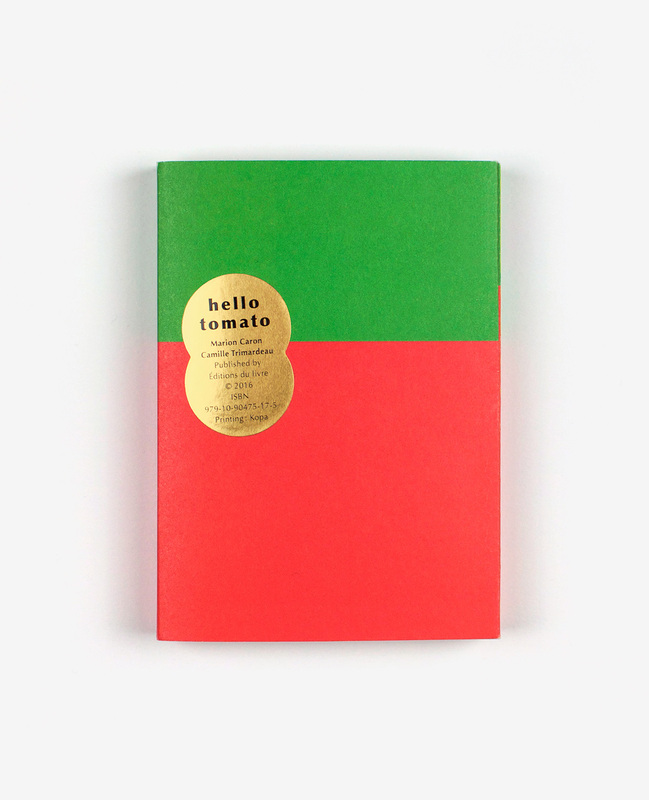 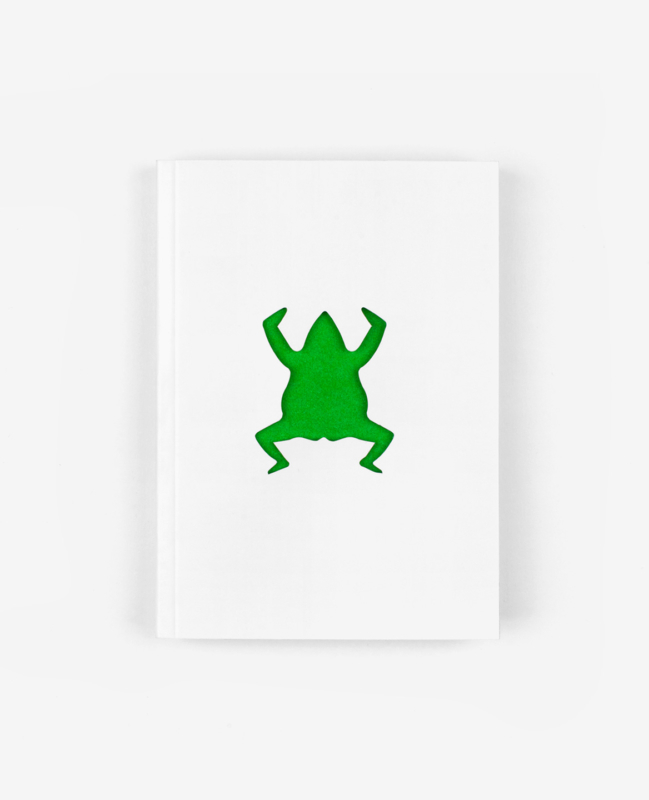 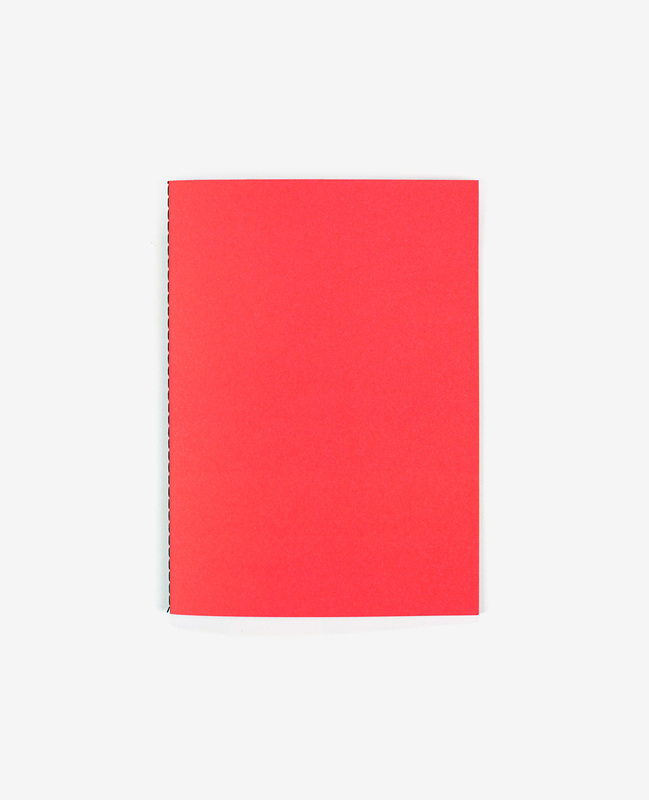 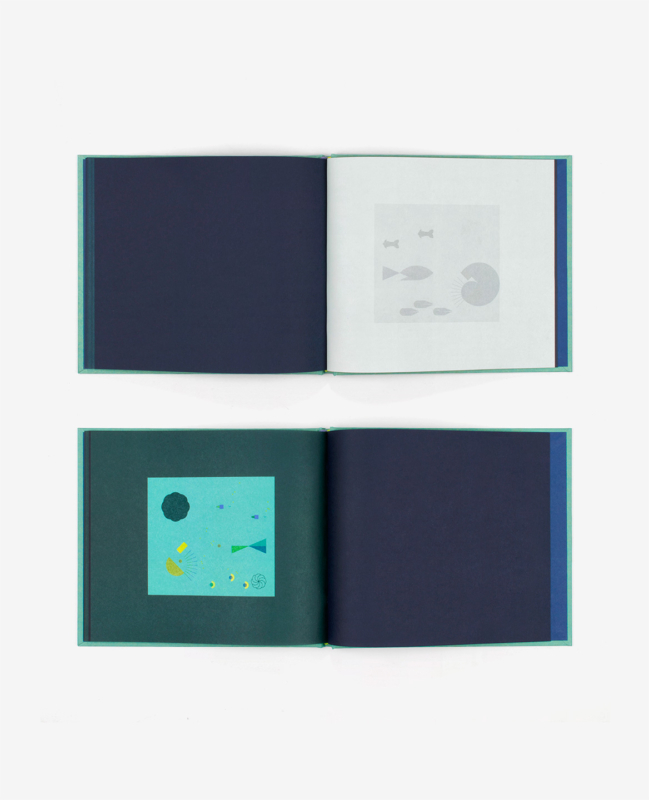 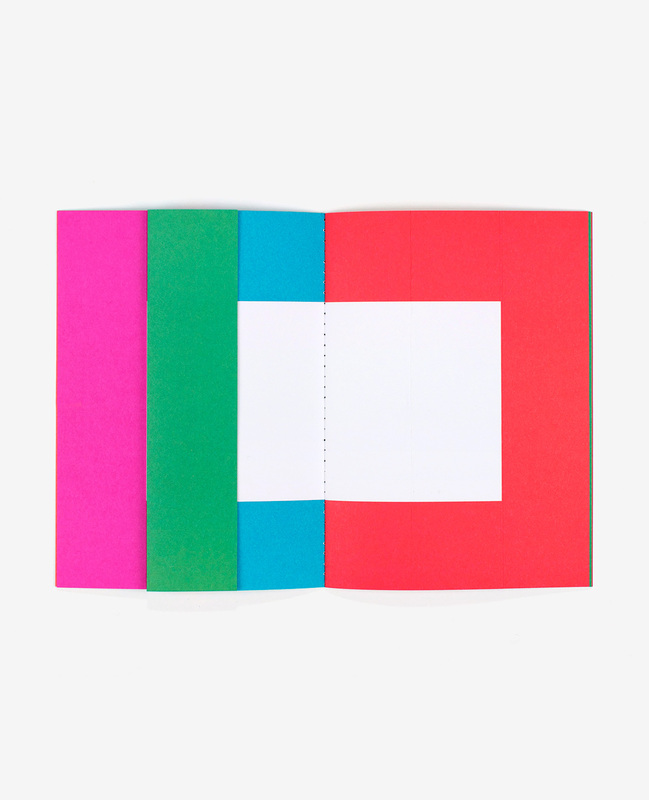 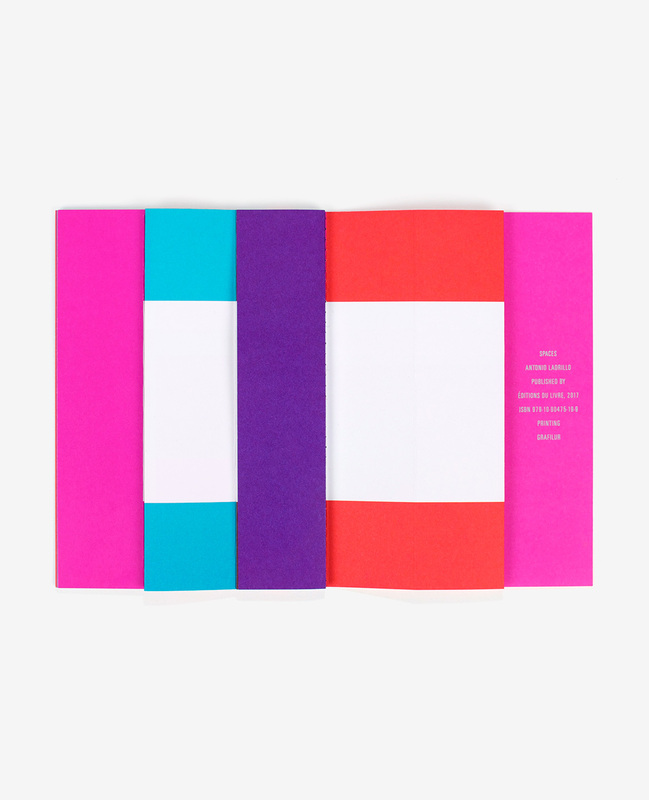 Spaces is composed of pages containing a white rectangle in a solid color frame. 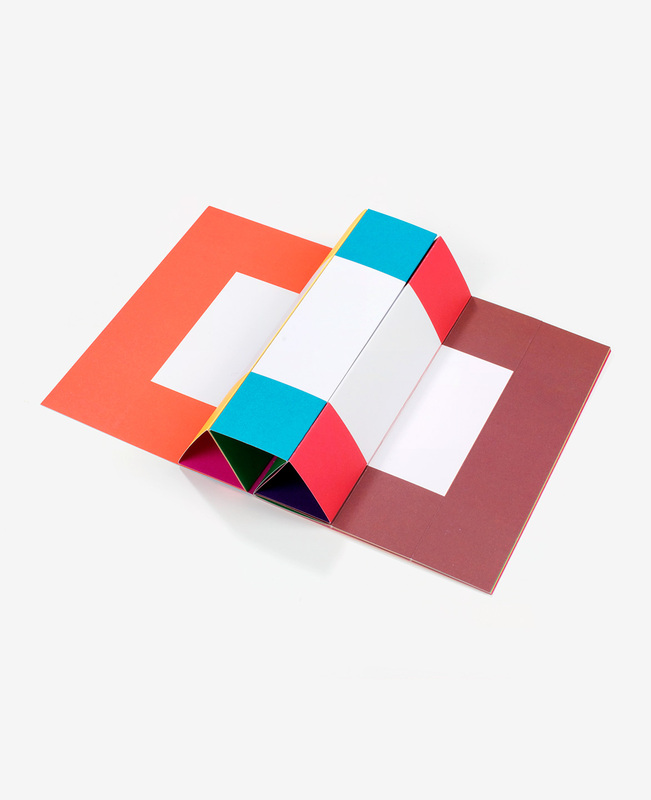 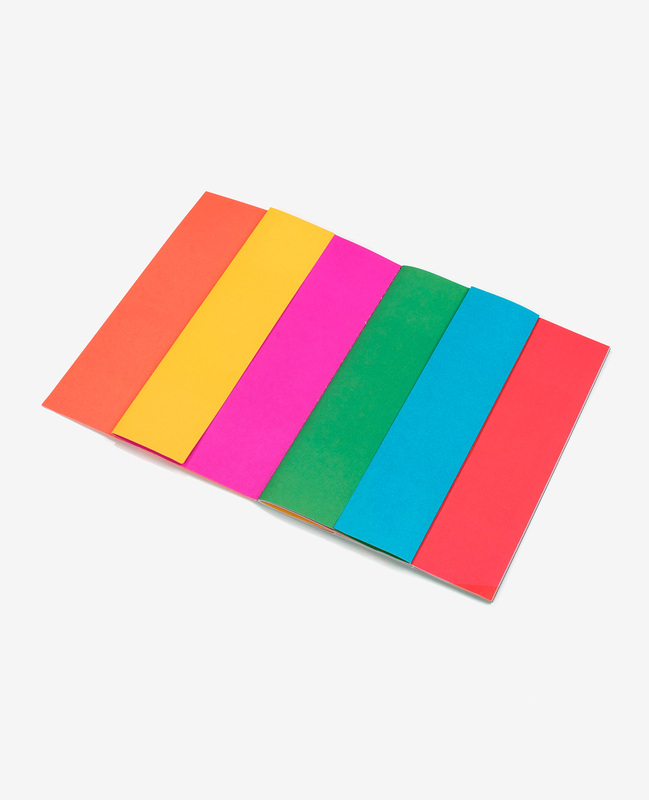 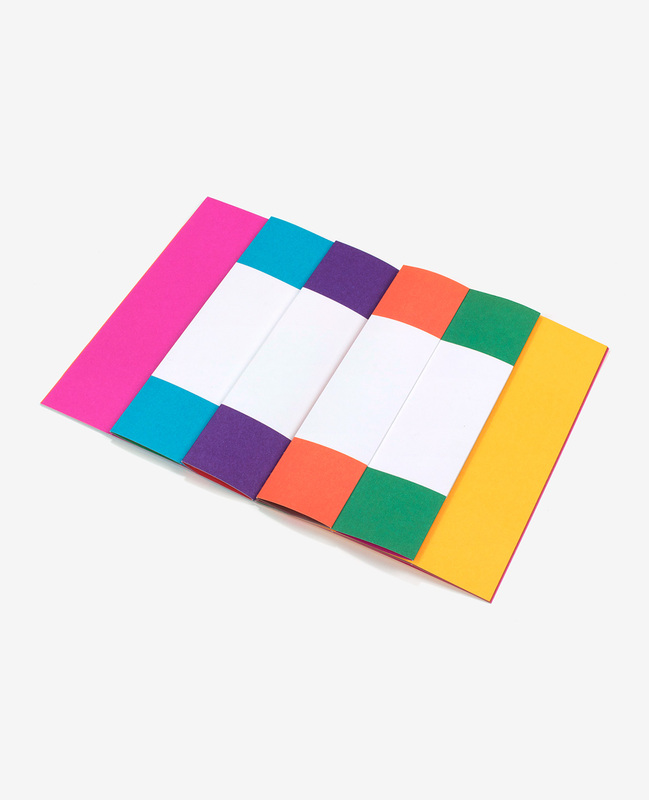 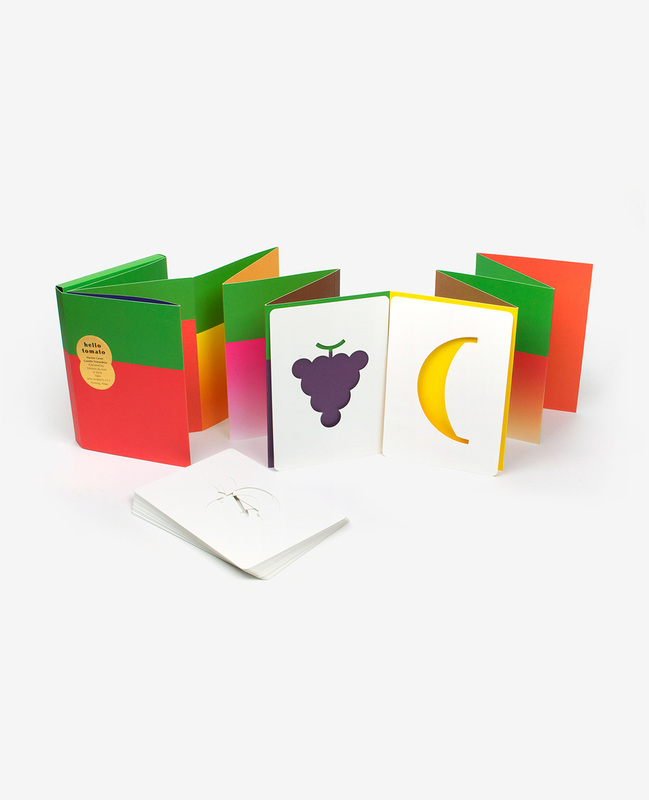 Each page is divided into three vertically foldable strips. 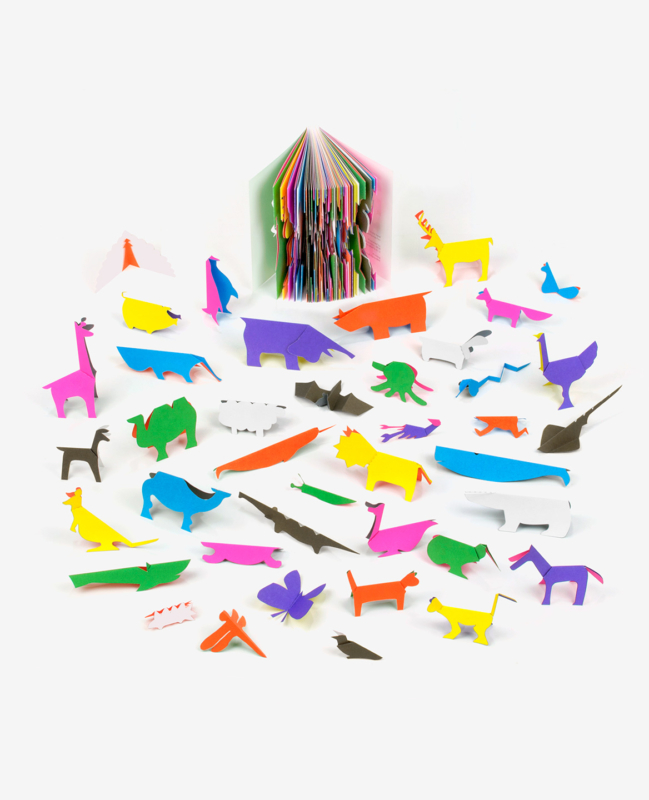 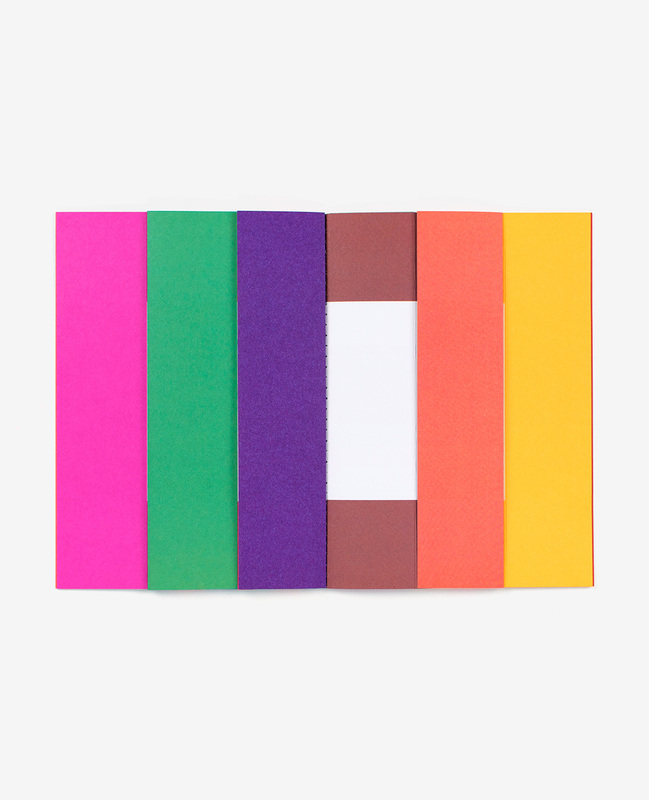 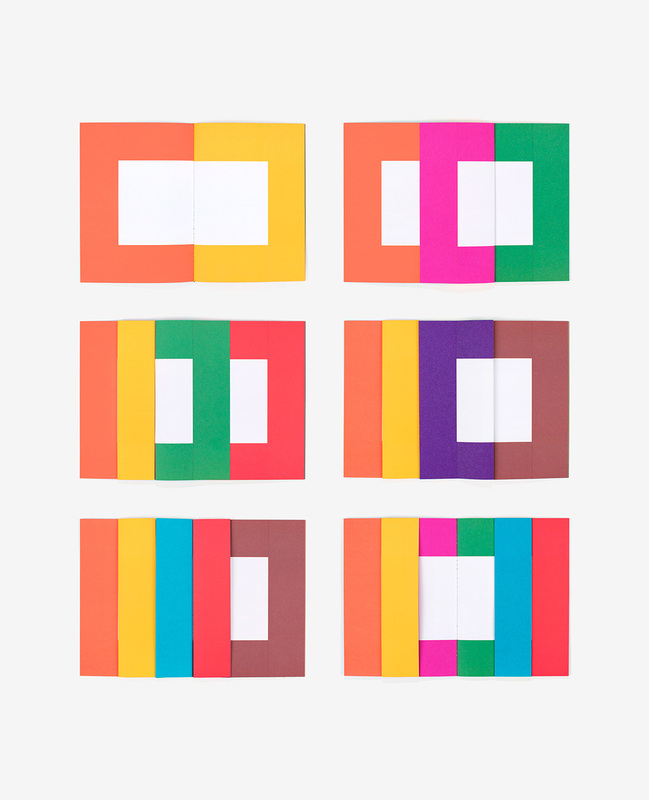 As the reader folds and unfolds the strips, the white spaces open, close, divide and multiply, all the while colors are being added to and subtracted from the frame. 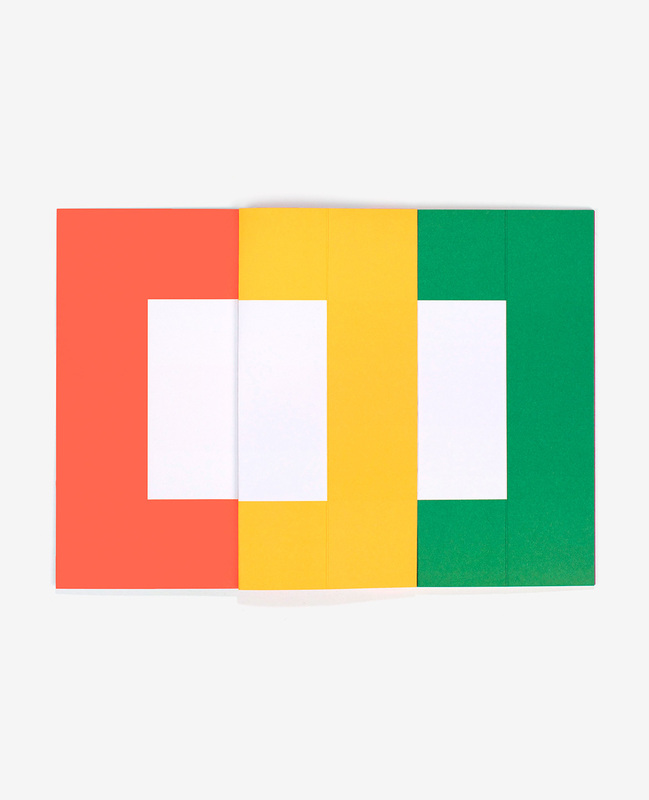 Antonio Ladrillo invites us into his minimalistic visual world, in which a simple, everyday gesture becomes an act of profoundly poetic magic.